The true measure of how I really feel about a restaurant is determined by how far I will travel to get there. I have neighborhood restaurants that are good rather than great. But sometimes proximity matters, and good can be a great thing. When I don’t have to sacrifice quality for location, however, it’s a really great thing. The Hillandale area of Silver Spring (New Hampshire Avenue and the Beltway) is less than 15 minutes away from my home. It’s not a direction I think about heading when I’m planning where to dine. However, a recent visit to the way-better-than-average lunch buffet at Jewel of India has enticed me back for dinner. We are here with two other couples. One lives nearby and the other has ventured to Hillandale all the way from Bethesda. This is a big deal. If it’s unknown territory for me as a Silver Springer, imagine how a Bethesdian views this strip mall restaurant. Once we enter Jewel of India, the location is moot. We are transported- not necessarily to India- but definitely to remote locations such as Bethesda or DC. The decor is sophisticated, even elegant. In describing the atmosphere Tim Carman of The Washington Post says in his review “it smacks of a budget-minded Rasika, right down to the strands of costume jewelry hanging over a banquette.” Any restaurant that’s compared to my favorite dining destination, even a budget-minded version, is okay with me. 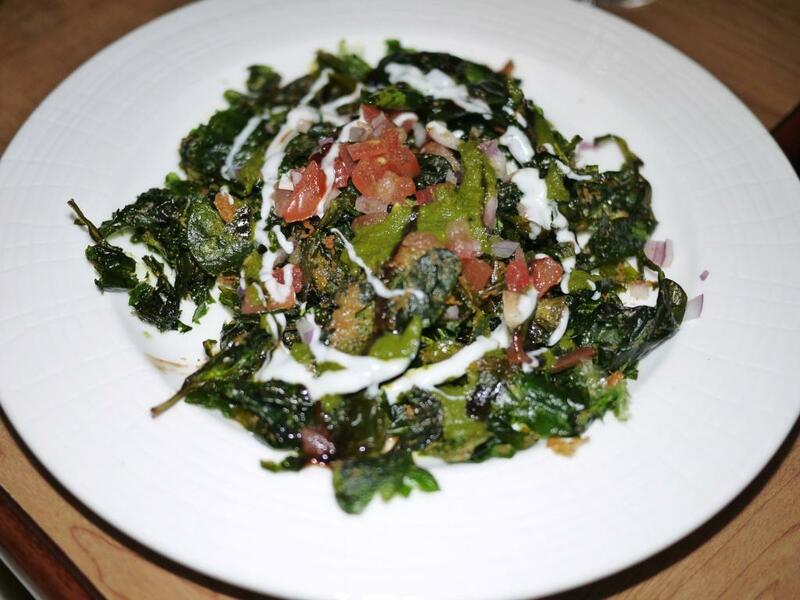 Dinner gets off to a little shaky start when we actually try to turn Jewel of India into Rasika by ordering its most revered dish, palak chat. The Jewel of India version pales in comparison. It’s a little soggy and not nearly as flavorful. The bhel puri, a puffed rice dish with vegetables and a tangy tamarind sauce, is much better. This dish has the crunch and flavor I’m looking for. My friend has hot and sour soup from an entirely separate Indochinese menu. According to the website, the menu is offered because the cuisine “is a huge trend in upscale restaurants in India.” This is like no hot and sour soup any of us have ever had. Put away those images of corn-starch thickened soup darkened with soy sauce. This is a light broth thickened with fresh ingredients- onion and celery for crunch, and bits of tofu. I need to come back for an entire bowl of my own hot and sour soup. Another diner in our group has the mulligatawny soup, with split peas and vegetables. It’s not as complex or unique as the hot and sour soup, but it has its own merits. My husband has eggplant bhartha for his main dish. This is a winner. It has a smoky flavor and a silky smooth texture. He describes it as very satisfying, and he doesn’t feel as if he is missing meat, which is sometimes the case with vegetarian dishes. I have chicken vindaloo and one of my friends has the lamb version. When the server asks how my friend how spicy he wants it, he replies “not timid.” I know exactly what he means, so I ask for the same. I’m hoping that the server gets it when we tell him we don’t want to be fanning the flames. It comes out just right, there’s a solid burn but not a full-fledged fire, and the vinegary sauce lends complexity. The chicken in my dish is tender and moist. 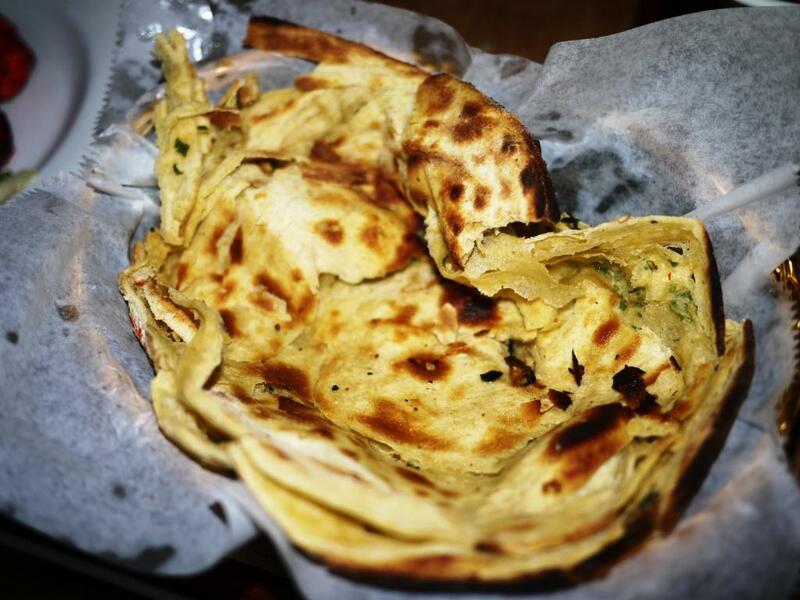 We also enjoy a variety of breads, including onion kulcha, mint paratha, and a kulcha with ginger. The breads are good but not particularly distinguishable from each other. We disagree about the onion kulcha, with some thinking its heavy on onions and others finding the onions a bit lacking. I think the amount of onions are just right. Once I abandon trying to replicate a Rasika experience, I find that Jewel of India sparkles in its own right. 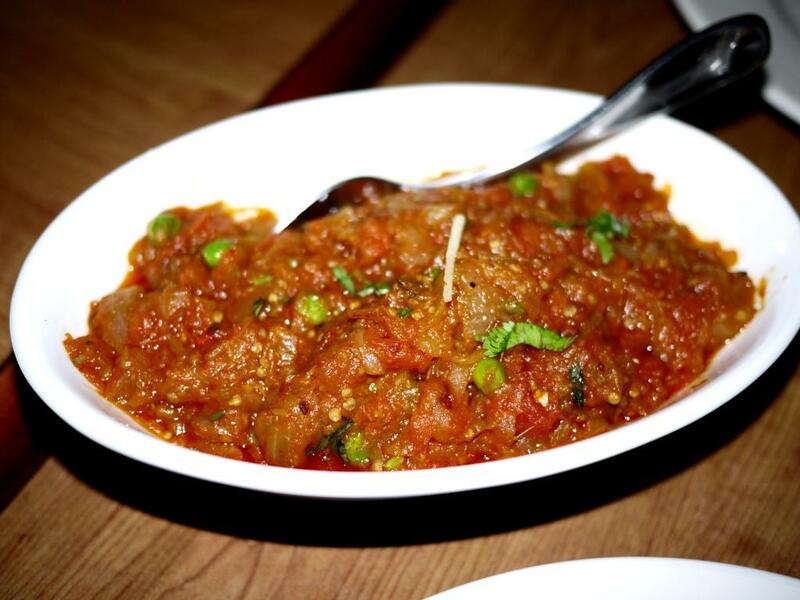 Whether for brunch or dinner, it’s worth checking out for well-executed Indian cuisine and upscale decor. Its convenient location off the beltway at New Hampshire Avenue means you don’t necessarily have to go out of your way to get there. On the other hand, as far as I’m concerned, pushing the boundaries is what a gratifying dining experience is all about.